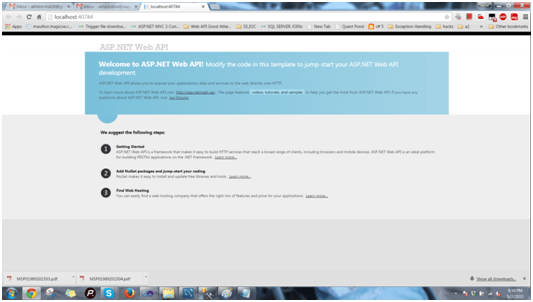 We have been learning a lot about WebAPI, its uses, implementations, and security aspects since last five articles of the series. This article of the series will explain how we can handle requests and log them for tracking and for the sake of debugging, how we can handle exceptions and log them. We’ll follow a centralized way of handling exceptions in WebAPI and write our custom classes to be mapped to the type of exception that we encounter and log the accordingly. I’ll use NLog to log requests and exceptions as well. 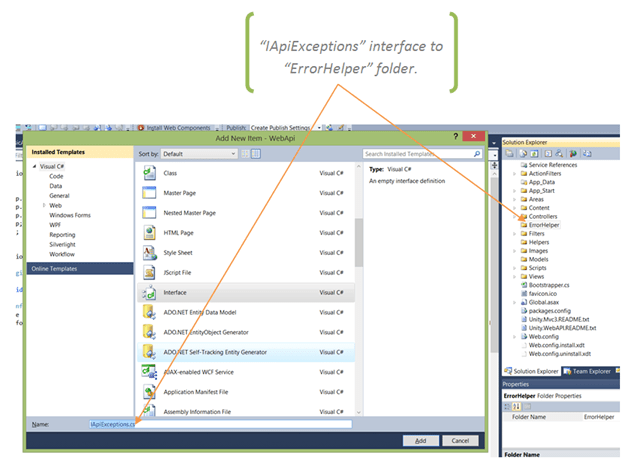 We’ll leverage the capabilities of Exception Filters and Action Filters to centralize request logging and exception handling in WebAPI. Since we are writing web services, we are exposing our end points. We must know where the requests are coming from and what requests are coming to our server. Logging could be very beneficial and helps us in a lot of ways like, debugging, tracing, monitoring and analytics. We already have an existing design. If you open the solution, you’ll get to see the structure as mentioned below or one can also implement this approach in their existing solution as well. 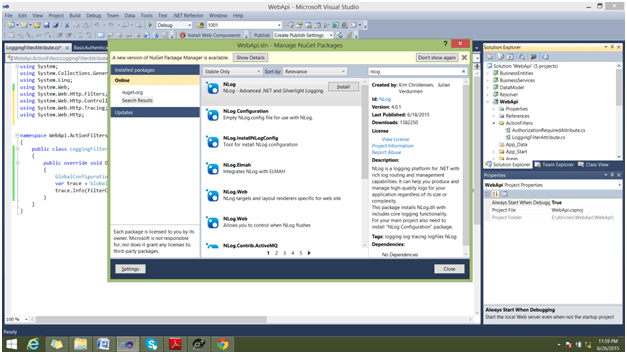 Right click WebAPI project and select manage Nuget Packages from the list. 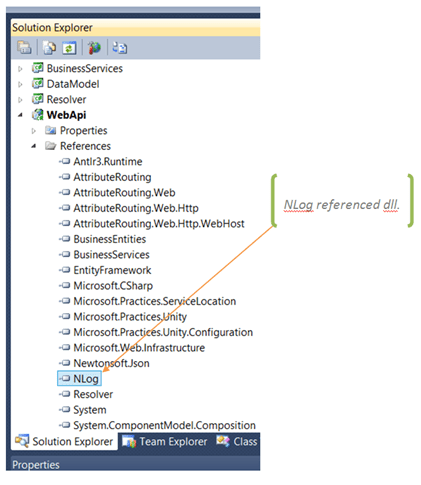 When the Nuget Package Manager appears, search for NLog. You’ll get Nlog like shown in image below, just install it to our project. 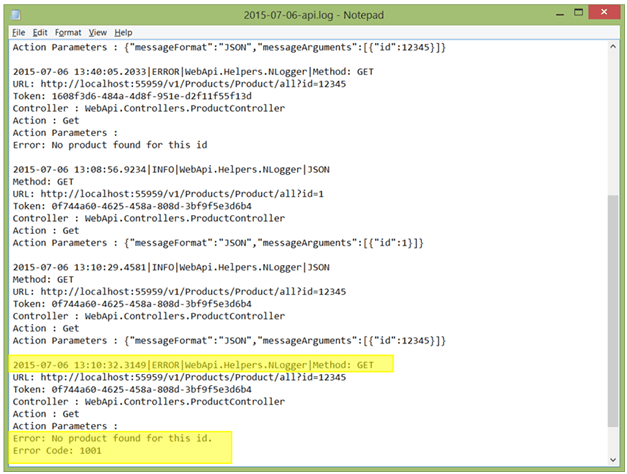 After adding this you will find following NLog dll referenced in your application. Configuration Section – I have added the section to configuration and defined the path and format dynamic target log file name, also added the eventlog source to Api Services. As mentioned in above target path, I have also created to “APILog” folder in the base directory of application. 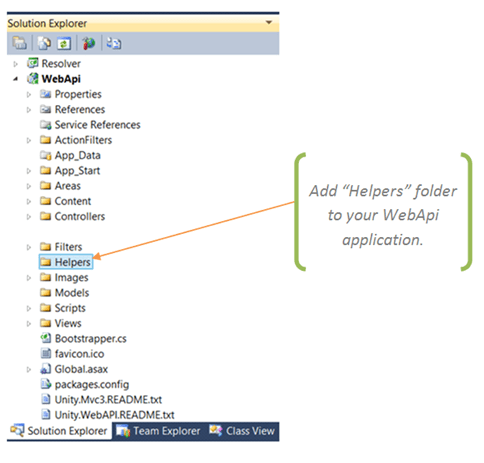 Add a folder “Helpers” in the API, which will segregate the application code for readability, better understanding and maintainability. 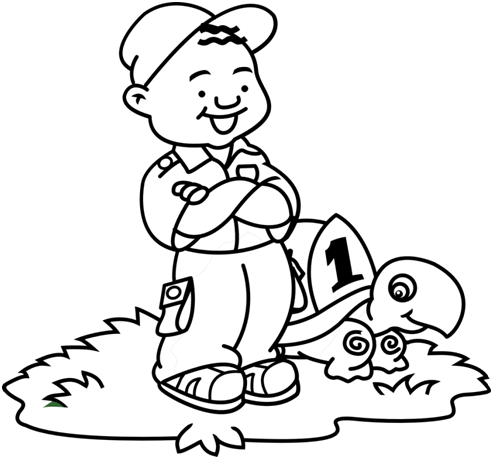 To start add our main class “NLogger“, which will responsible for all types of errors and info logging, to same Helper folder. 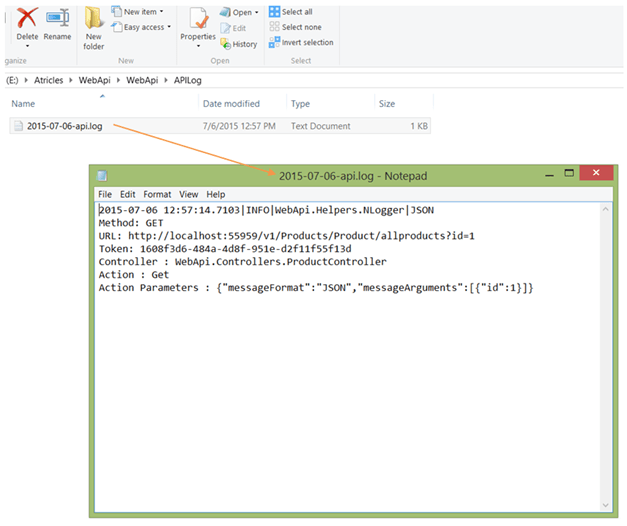 Here NLogger class implements ITraceWriter interface, which provides “Trace” method for the service request. 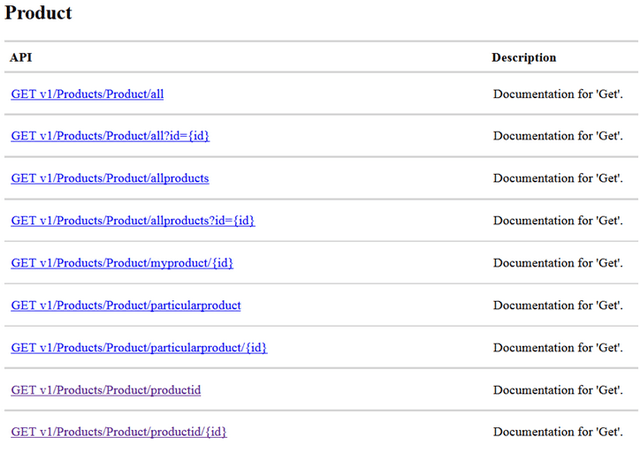 /// Implementation of TraceWriter to trace the logs. Action filter will be responsible for handling all the incoming requests to our APIs and logging them using NLogger class. We have “OnActionExecuting” method that is implicitly called if we mark our controllers or global application to use that particular filter. 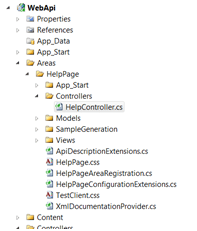 So each time any action of any controller will be hit, our “OnActionExecuting” method will execute to log the request. 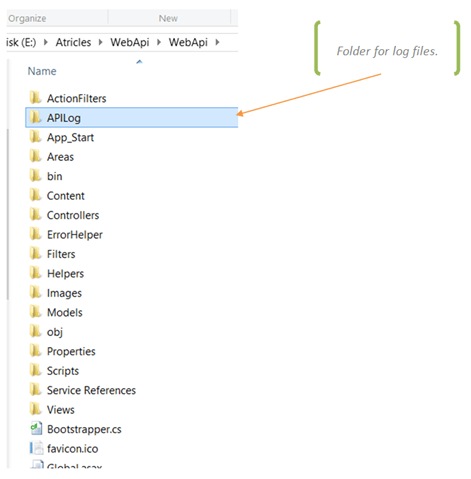 Create a class LoggingFilterAttribute to “ActionFilters” folder and add following code. The LoggingFilterAttribute class derived from ActionFilterAttribute, which is underSystem.Web.Http.Filters and overriding the OnActionExecuting method. Here I have replaced the default “ITraceWriter” service with our NLogger class instance in the controller’s service container. Now GetTraceWriter() method will return our instance (instance NLogger class) and Info() will call trace() method of our NLogger class. Note that the code below. 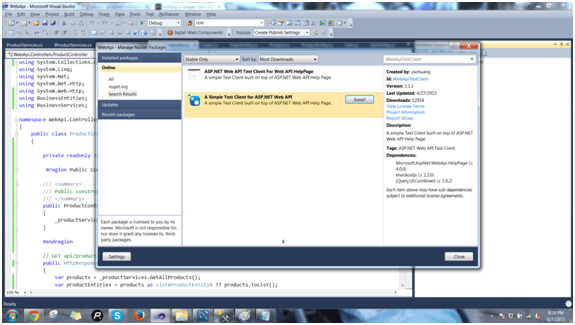 is used to resolve dependency between ITaceWriter and NLogger class. Thereafter we use a variable namedtrace to get the instance and trace.Info() is used to log the request and whatever text we want to add along with that request. 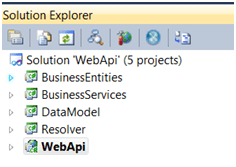 In order to register the created action filter to application’s filters, just add a new instance of your action filter toconfig.Filters in WebApiConfig class. Now this action filter is applicable to all the controllers and actions in our project. 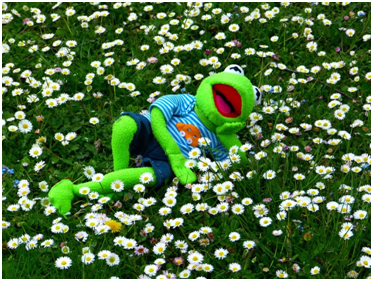 You may not believe but request logging is done. 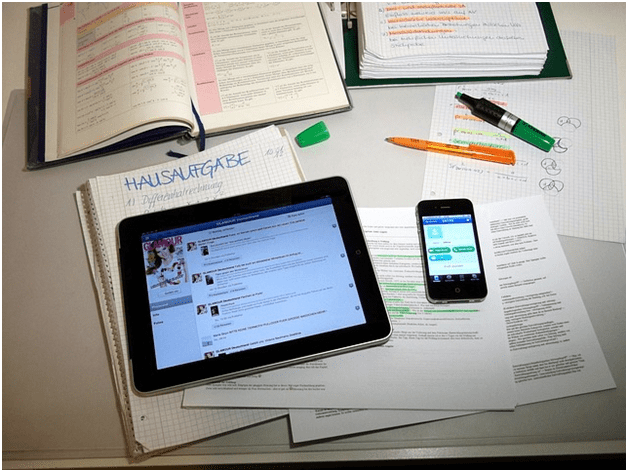 It’s time to run the application and validate our homework. Let’s run the application and try to make a call, using token based authorization, we have already covered authorization in day#5. You first need to authenticate your request using login service and then that service will return a token for making calls to other services. Use that token to make calls to other services. For more details you can read day 5 of this series. In the below case, I have already generated the token and now I am using it to make call to fetch all the products from the products table in the database. Now let’s see what happens to our APILog folder in application. 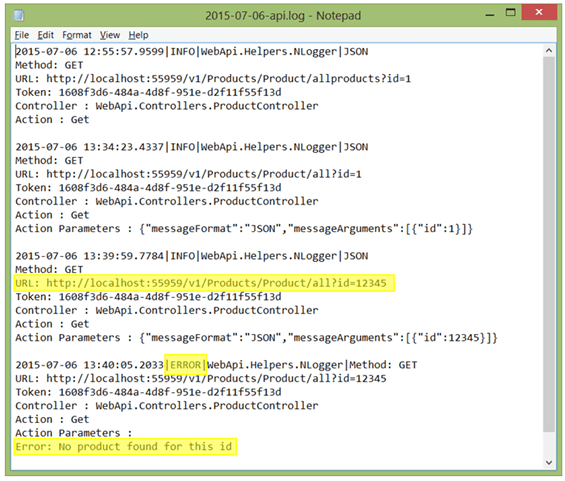 Here you find the API log has been created, with the same name we have configured in NLog configuration in web.config file. The log file contains all the supplied details like Timestamp, Method type, URL , Header information (Token), Controller name, action and action parameters. 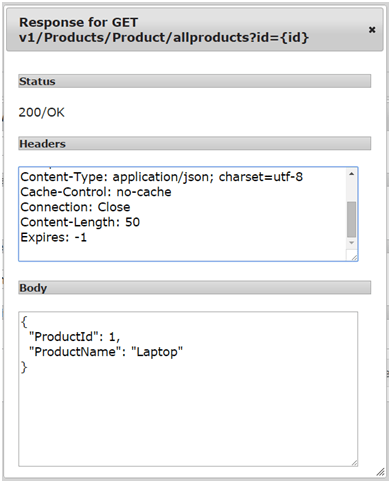 You can also add more details to this log which you deem important for your application. Our logging setup is completed, now we’ll focus on centralizing exception logging as well, so that none of the exception escapes without logging itself. Logging exception is of very high importance, it keeps track of all the exceptions. No matter business or application or system exceptions, all of them have to be logged. 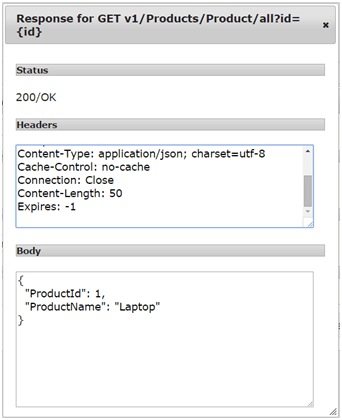 Now we will add an action filter in our application for logging the exceptions. For this create a class,GlobalExceptionAttribute to “ActionFilter” folder and add the code below, the class is derived fromExceptionFilterAttribute, which is under System.Web.Http.Filters. I override the OnException() method and replace the default “ITraceWriter” service with our NLogger class instance in the controller’s service container, same as we have done in Action logging in above section. Now theGetTraceWriter() method will return our instance (instance NLogger class) and Info() will call trace()method of NLogger class. 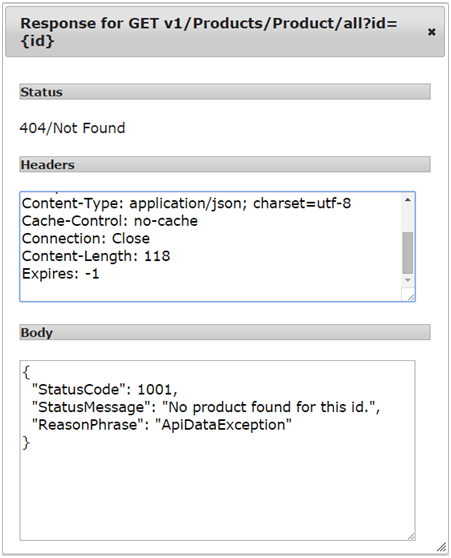 /// Action filter to handle for Global application errors. Our application is now ready to run, but there is no exception in our code, so I added a throw exception code inProductController, just the Get(int id) method so that it can throw exception for testing our exception logging mechanism. 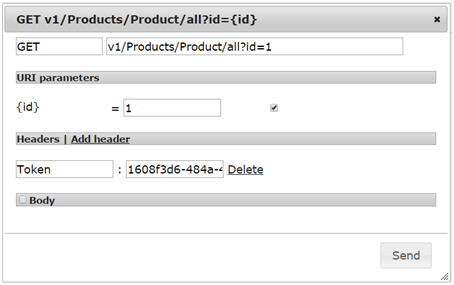 It will throw an exception if the product is not there in database with the provided id. Well, now the log has captured both the event and error of same call on the server, you can see call log details and the error with provided error message in the log. In the above section we have implemented exception logging, but there is default system response and status (i.e. 500/Internal Server Error). 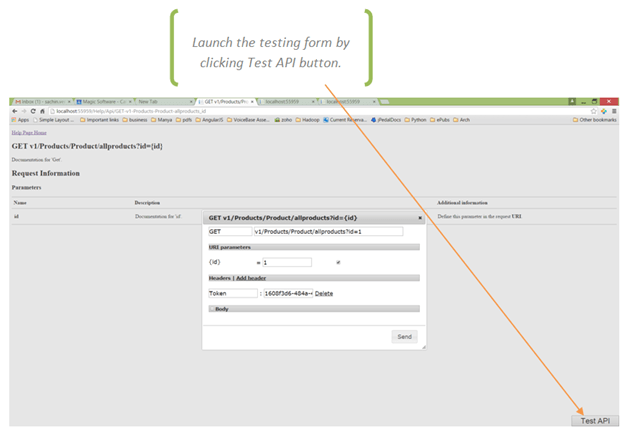 It will be always good to have your own custom response and exceptions for your API. 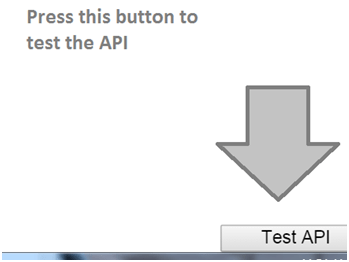 That will be easier for client to consume and understand the API responses. Add following code the IApiExceptions interface, this will serve as a template for all exception classes, I have added four common properties for our custom classes to maintain Error Code, ErrorDescription, HttpStatus (Contains the values of status codes defined for HTTP) and ReasonPhrase. 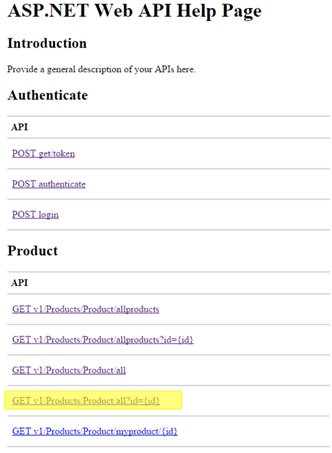 API Exceptions – for API level exceptions. 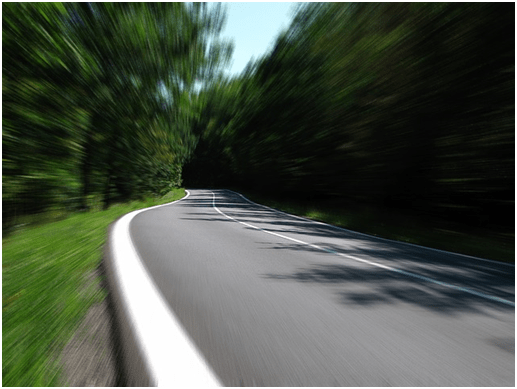 Business Exceptions – for exceptions at business logic level. 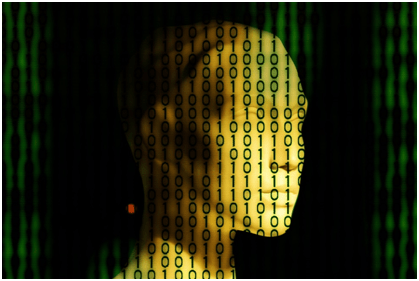 Data Exceptions – Data related exceptions. To implement this create a three new classes ApiException.cs, ApiDataException.cs and ApiBusinessExceptionclasses to same folder which implements IApiExceptions interface with following code to the classes. I have initialized ReasonPhrase property with different default values in these classes to differentiate the implementation, you can use implement your custom classes as per your application needs. The directives applied on class as Serializable and DataContract to make sure that the class defines or implements a data contract is serializable and can be serialize by a serializer. Note: Add reference of “System.Runtime.Serialization.dll” DLL if you facing any assembly issue. There are some objects need to be serialized in JSON, to log and to transfer through the modules, for this I have add some extension methods to Object class. /// Extened method of object class, Converts an object to a json string. 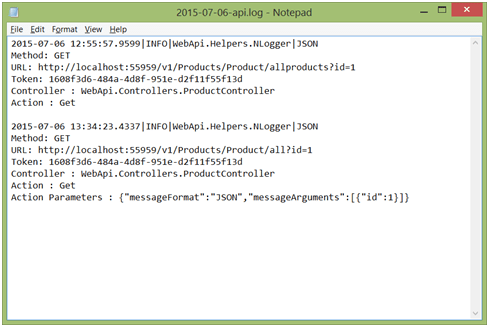 For exception handling I have modified the Log() method of NLogger, which will now handle the different API exceptions. The code above checks the exception object of TraceRecord and updates the logger as per the exception type. As we have created GlobalExceptionAttribute to handle all exceptions and create response in case of any exception. Now I have added some new code to this in order to enable the GlobalExceptionAttribute class to handle custom exceptions. I am adding only modified method here for your reference . In the above code I have modified the overrided method OnExeption() and created new Http response exception based on the different exception types. Now modify the Product controller to throw our custom exception form, please look into the Get method I have modified to throw the APIDataException in case if data is not found and APIException in any other kind of error. We can see, now there is a custom error status code “1001” and messages “No product found for this id.” And the generic status code “500/Internal Server Error” is now replaced with our supplied code “404/ Not Found”, which is more meaningful for the client or consumer. 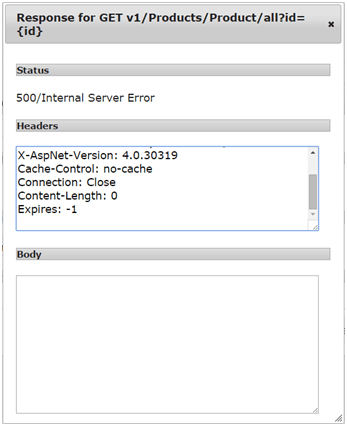 Well, now the log has captured both the event and error of same call on the server, you can see call log details and the error with provided error message in the log with our custom error code, I have only captured error description and error code, but you can add more details in the log as per your application needs. Now you can see, our application is so rich and scalable that none of the exception or transaction can escapelogging.Once setup is inplaced, now you don’t have to worry about writing code each time for logging or requests and exceptions, but you can relax and focus on business logic only.